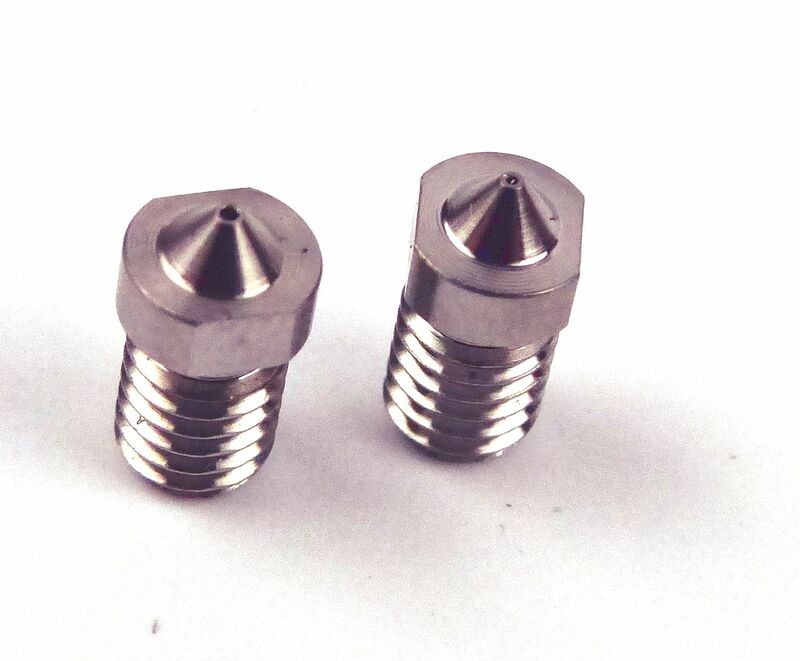 Our new 1.75mm new nozzle multi-pack provides an exciting set of nozzles for both everyday and experimental use. 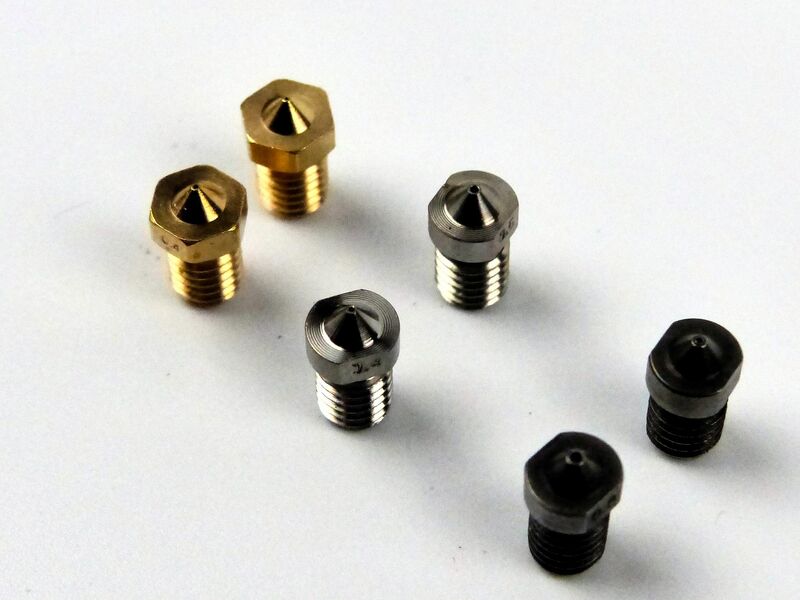 The kit consists 6 nozzles including 2 v6 brass nozzles one each 0.3mm & 0.4mm. 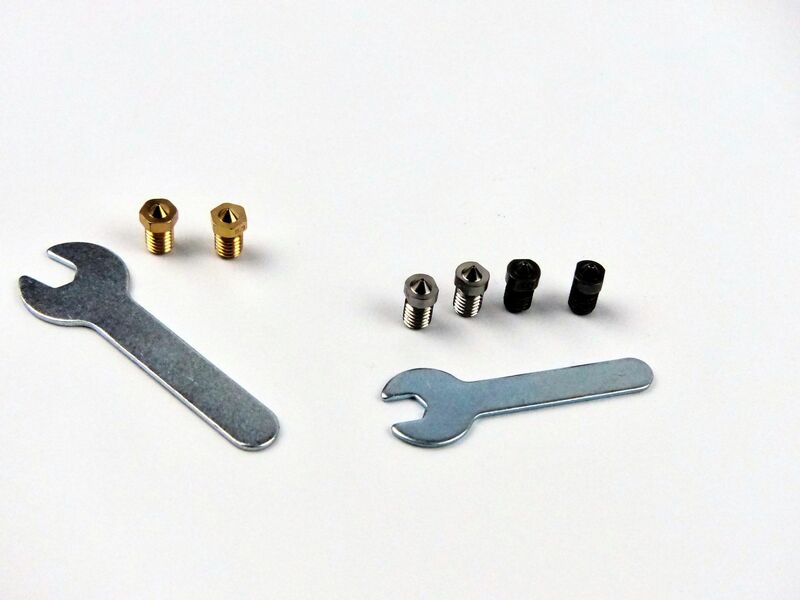 The inclusion of two of our new hardened steel nozzles adds the capability for printing abrasive filaments like carbon fibre, wood and metal-filled PLA. 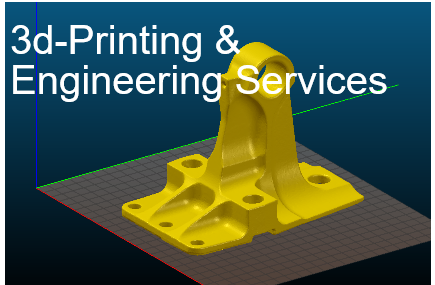 Two sizes are provided 0.4mm for everyday printing and 0.8mm for those larger jobs. 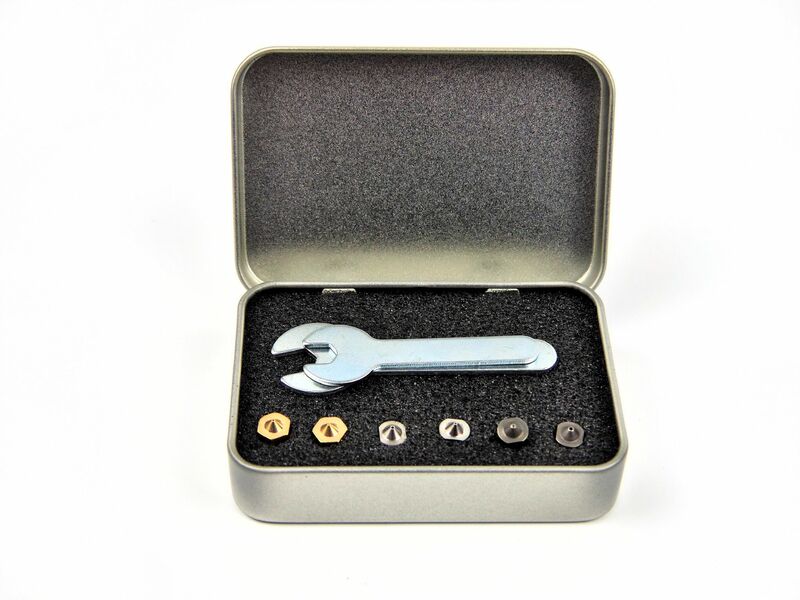 Finally, we have also included two experimental Titanium nozzles for those adventurous enthusiasts wishing to push the boundaries even further. Two sizes one each 0.4mm and 0.6mm each. 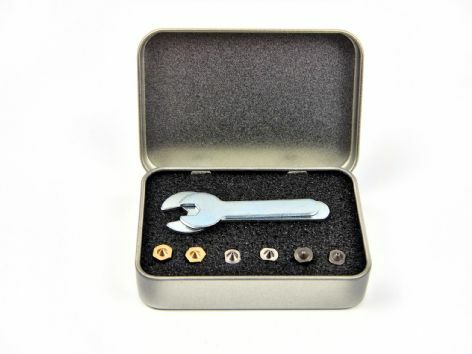 The kit also contains two spanners one to fit the standard Hex head brass nozzles and a smaller M6 spanner for the hardened steel and Titanium nozzles.